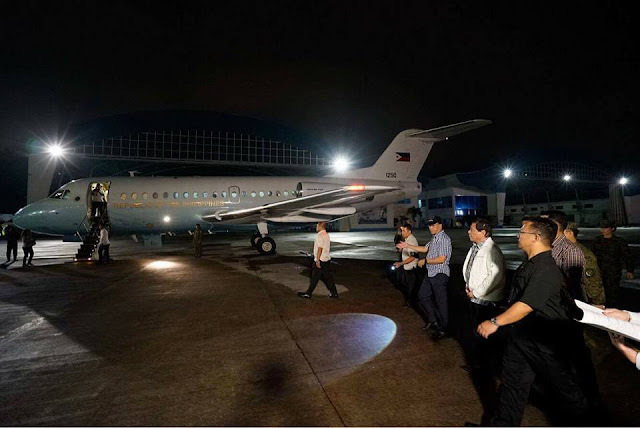 President Duterte rushed from his yesterday's busy schedule to Villamor Air Base in time for the arrival of wounded soldiers who were on board the Presidential plane from Cagayan De Oro City . 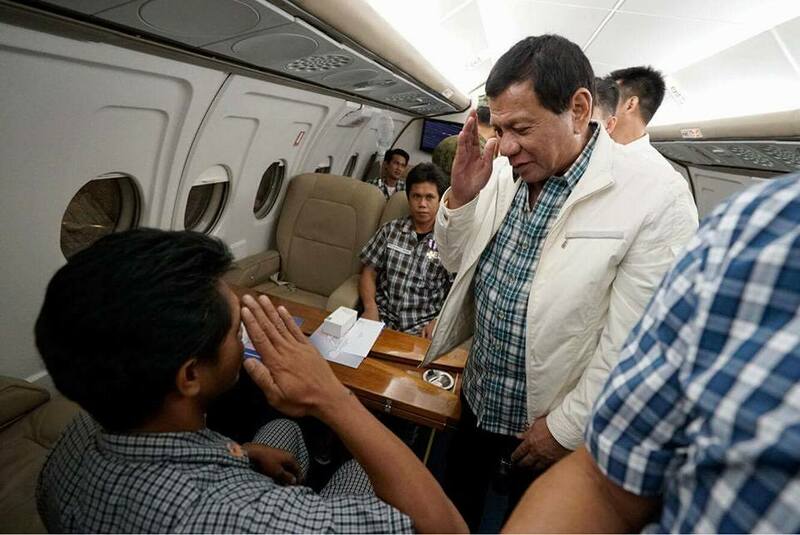 He greeted them and awarded medals for their bravery in Marawi Siege. 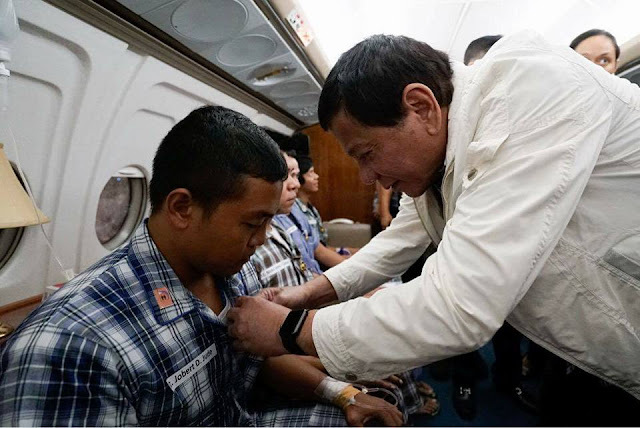 He has shown once again his concern and love for our soldiers, a presidential treatment for our wounded soldiers who will all be confined to V-Luna Medical Center in Quezon City. 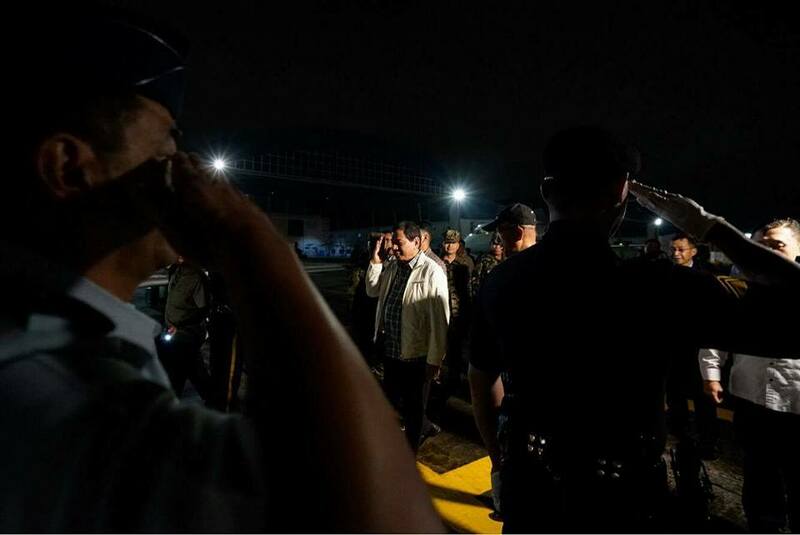 Please continue to pray for our Commander- in-Chief, our soldiers who are still fighting in Marawi, and our wounded personnel for immediate healing and recovery. Please pray also for those who have lost their loved one. 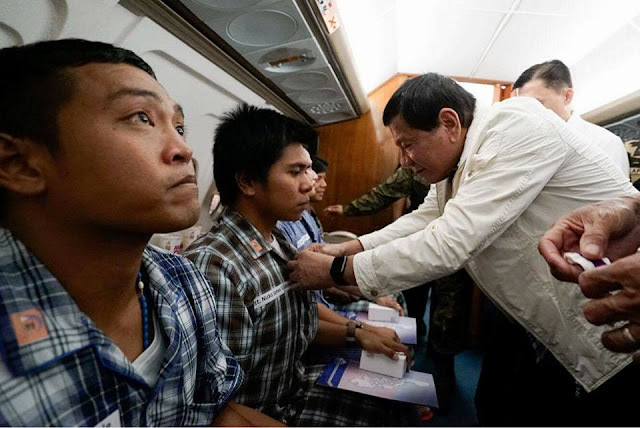 President Rodrigo Roa Duterte awards the Wounded Personnel Medal and speaks with fifteen (15) wounded-in-action (WIA) soldiers at the Villamor Air Base in Pasay City on June 28, 2017. 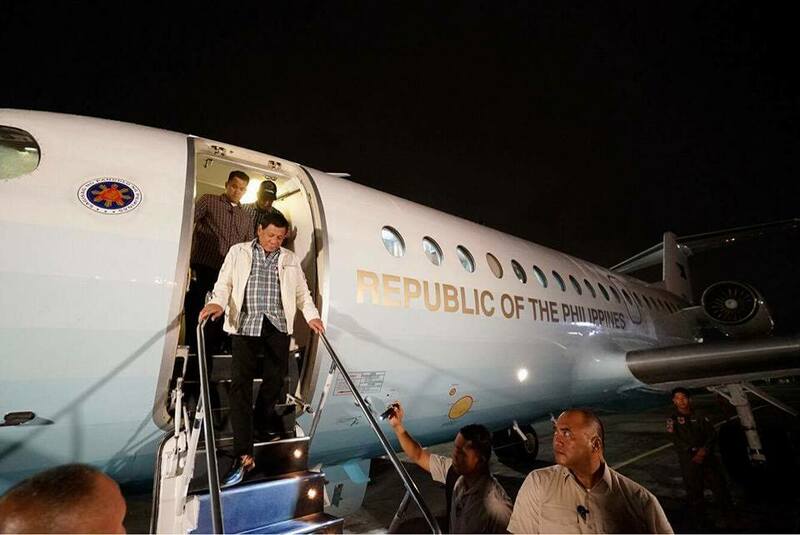 The soldiers were flown from Cagayan de Oro to Manila and were part of the government forces fighting for peace in Marawi City. 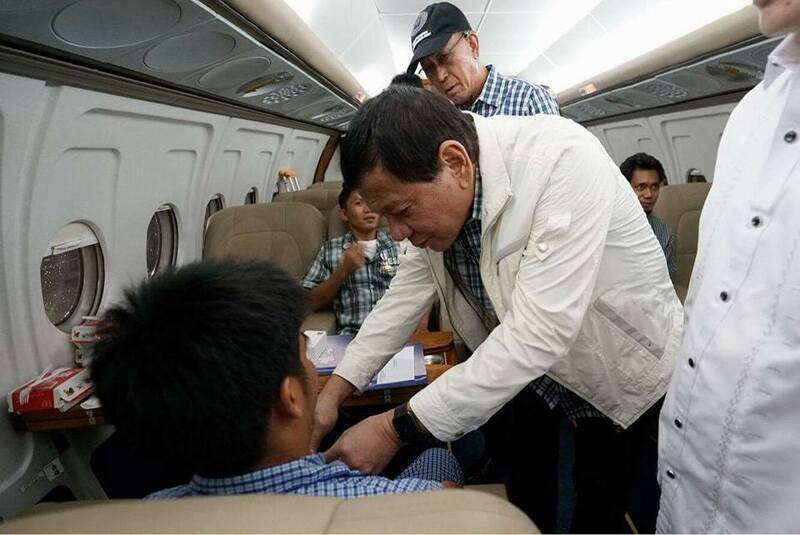 The soldiers are also given financial assistance from the President's Social Fund to further help their recovery and their families.